Long story short: Medtronic is sending me a new pump tomorrow. Again. Those of you that remember my New Year’s Eve story, I’m sure you are all going WHY?? Apparently this pump has a software issue. If you see my graph from Carelink, you’ll notice that there are 12 zillion entries for “85.” I didn’t put those there. Or at least, I didn’t think I did. The 522 models don’t allow you to just push a button and check how much insulin is on board. Since apparently my CGM is OCD and I’m only allowed to calibrate when I have little to no insulin in my system, I check the on board insulin by faking a blood sugar entry using the bolus wizard and then hitting escape once I find this info. The first number I scroll to do so is… 85. For some reason, my pump is recording each entry like this. I don’t know why. Neither does Medtronic. Nor my CDE. Nor my pump trainer. And since my CGM readings are so wacky, they think it’s a software issue. Therefore, I get another replacement pump. It will be purple. I’m excited! Now – I don’t know if this will help the odd readings I have been getting in the evenings. For example, I got a 103 reading with double down arrows during my dance class last night. So I ran to check my sugars – and I was 225. Huh. Not only was it wildly incorrect, it was also telling me I was dropping fast when I was actually heading UP! Otherwise, the readings have been fairly accurate (and accurately low). I’ve even had a boring straight line for hours on end. Yay consistency. Doesn’t the 522 also treat EVERY blood glucose meter reading as a calibration (as opposed to the 523, which asks after every test if you want to calibrate)? That could have something to do with your wacky sensor readings, especially if it’s calibrating to 85 all the time. Another nice thing about the 523 (I don’t know about the 522) is that it tells you Active Insulin on the screen where you enter the units of insulin (not the one where it shows the calculation) even if you don’t enter a BG. 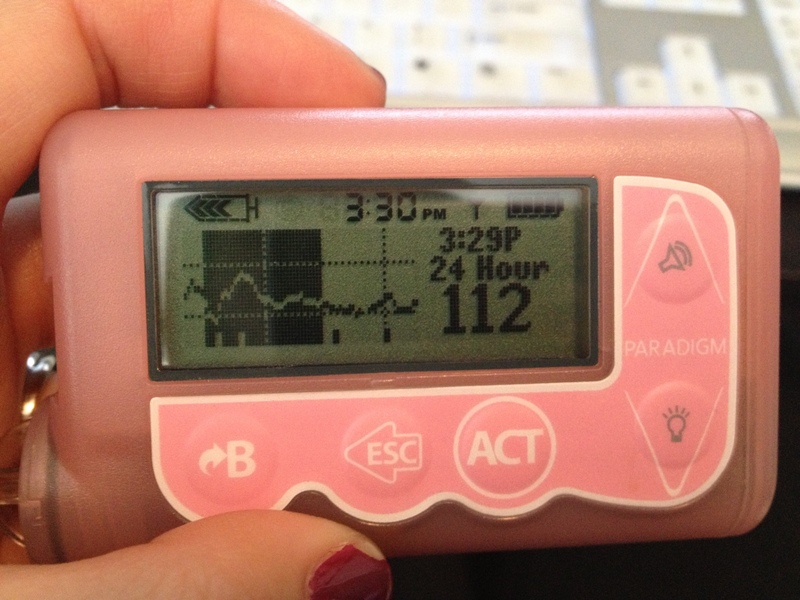 It’s easier to pretend-bolus to that screen than to find it in the status screen. I wonder what your software update will do. Make sure you compare the SW version number (at the bottom of the main status screen) on your old and new pumps. I’ve noticed changes when I’ve had pumps replaced.